100,000 Euros offered to repatriate the Soviet prisoner and his driver. Last week, on May 28, Pastor Annemarie Werner, head of the Berlin offices of the International Raoul Wallenberg Foundation, took the floor at an academic conference held in Moscow called, “Raoul Wallenberg – a Humanitarian of the 20th Century.” The conference was organized by the prestigious Institute of World History of the Russian Academy of Sciences, the Hungarian Cultural Center in Moscow, as well as the Swedish and Israeli Embassies in Moscow. Among the attendants were international scholars, politicians, diplomats and even the Chief Archivist of the Russian Federal Security Service, Lt-General Vasily Khristoforov. In her keynote speech, Pastor Werner made a significant announcement: The Wallenberg Foundation will offer a 100,000 Euros prize to any person or institution leading to the repatriation of Raoul Wallenberg and his driver, Vilmos Langfelder. While the official terms and conditions of the award will be made public shortly, Pastor Werner stressed that the information should be verifiable by customary scientific means, such as DNA tests. The prize was made available by an anonymous donor, closely related to the Wallenberg Foundation. Both Wallenberg and Langfelder were taken prisoners on January 17, 1945, by the Soviet forces which liberated Budapest from the Nazis. 67 years later, their fate and whereabouts are still shrouded in mystery. The same goes for the motives of their arrest and imprisonment. 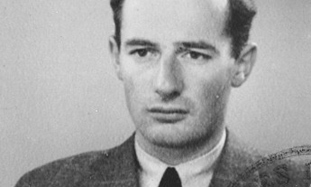 By the time of his abduction, 32 year-old Wallenberg had managed to save scores of innocent lives in Budapest in just 9 months. Purportedly, his January 17 meeting with the Soviet military commanders was intended to outline the post-war efforts in favor of the survivors. In 1991, a Swedish-Russian Working Group was appointed in order to ascertain what actually happened to Wallenberg after his disappearance. In theory, after the collapse of the Soviet Union, it was expected that the members of the Working Group would have unfettered access to the archival materials. But this was far from what actually happened. Since 1957, Soviet and later Russian officials have claimed that Wallenberg died in July of 1947 at Lubyanka Prison, most likely of unnatural causes. Not long ago, Susanne Berger and Vadim Birstein, two renowned researchers specializing in Wallenberg, received a document from the FSB archive which stated that Wallenberg might have been the same person as “Prisoner Number 7,” who was interrogated at the Lubyanka prison a few days after Wallenberg’s alleged death. Darchiev’s assertion makes a lot of sense. If it is true that Raoul Wallenberg was killed, it is likely that his murder was ordered by Stalin. One should bear in mind that Stalin’s regime was both cruel and organized. The following question should be asked: What are the chances of a high-profile individual such as Wallenberg being murdered under Stalin’s order, without leaving a clear record? Probably nonexistent. Why the Russian authorities are not willing to give unrestricted access to their historical archives is not for us to judge. Our goal is humanitarian. Raoul Wallenberg was one of the greatest heroes known to mankind. The odds of him still being alive are obviously extremely slim, but even if he were dead, the surviving members of his family deserve to know what happened to him. His half-brother, the renowned physicist, Guy von Dardel, passed away not long ago without having achieved his dream of reuniting with Raoul. His widow, Matti and his daughters Louise and Marie are still struggling to bring Raoul back home. This is an uphill battle but with any hope, the decision to offer a pecuniary award will achieve its objective. Baruch Tenembaum is the founder of The International Raoul Wallenberg Foundation and Eduardo Eurnekian serves as its Chairman.